This year, Santa delivered precisely what I wanted most — a sweater quantity of yarn in a lovely shade of charcoal. It's Valley Yarns Amherst, a 100% merino wool in worsted weight. 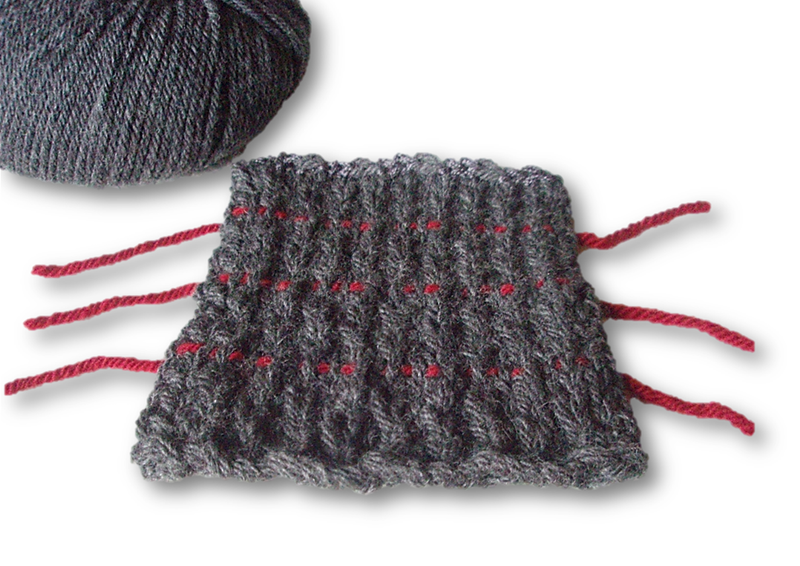 This is the same yarn I used for Tikkyn Flagstone, so I know for a fact it's not only soft and light but very warm. It's also quite affordable, which is important since this will be a casual, everyday cardigan that's likely to see heavy wear. I already have several projects on the needles, but as you can see, I couldn't resist swatching. Right now, I'm leaning toward the slipped rib stitch shown, because it's easy to work, produces a moderately stretchy fabric, and has an interesting texture. I'm also experimenting with different needle sizes to determine which one produces the right mix of drape and density. I'm a slow knitter, so it's a toss up whether this will be finished in time for wear this winter, but it really doesn't matter. Sooner or later, I'll have a cozy, warm sweater that suits my style, goes with everything in my closet and fills a very real need. And that's the best gift of all. Wishing you and yours a bright and happy New Year! The post Knitting is a Luxury Hobby, But it Doesn’t Have to Be appeared first on %%www.knittedbliss.com%%. Hello friends! It’s been a whirlwind of a holiday season! I just have a few more presents to wrap and some cookies to bake for the cookie decorating party this evening. Can’t wait to put my feet up later tonight and start a new project for the little bobbins Christmas Eve cast on. Are you joining in? I’m still not sure what yarn or pattern I will be using but it most definitely will be a sock :) The festive sock knitting mojo has been strong this season and I managed to finish last year’s Christmas socks (yarn=turtle purl, pattern=mistletoe kisses) as well as a fun stripey one (yarn=Must Stash Yarn in the bumbles bounce colorway). I am also trying to squeeze in one more pair before Christmas morning arrives (yarn=rellana flotte socke in the Christmas colorway). I hope that you all have a wonderful Christmas if you celebrate. Otherwise enjoy this beautiful time of the year with lots of your favorite cozy things! 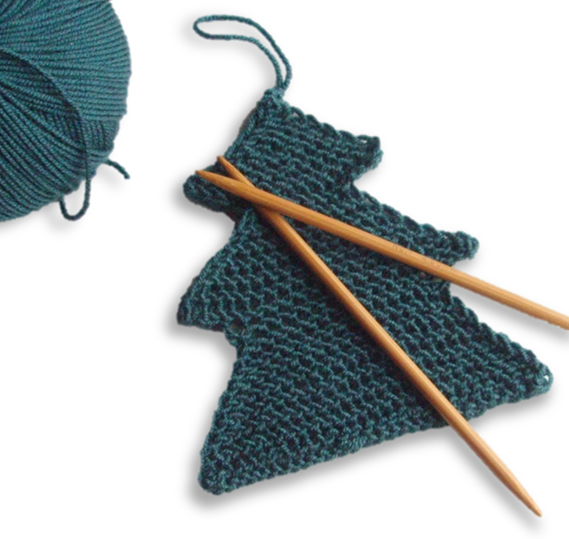 For the first time in many, many years, there's no last-minute Christmas knitting on my needles or to-do list. This is not just a relief, it's a gift — one that came early. 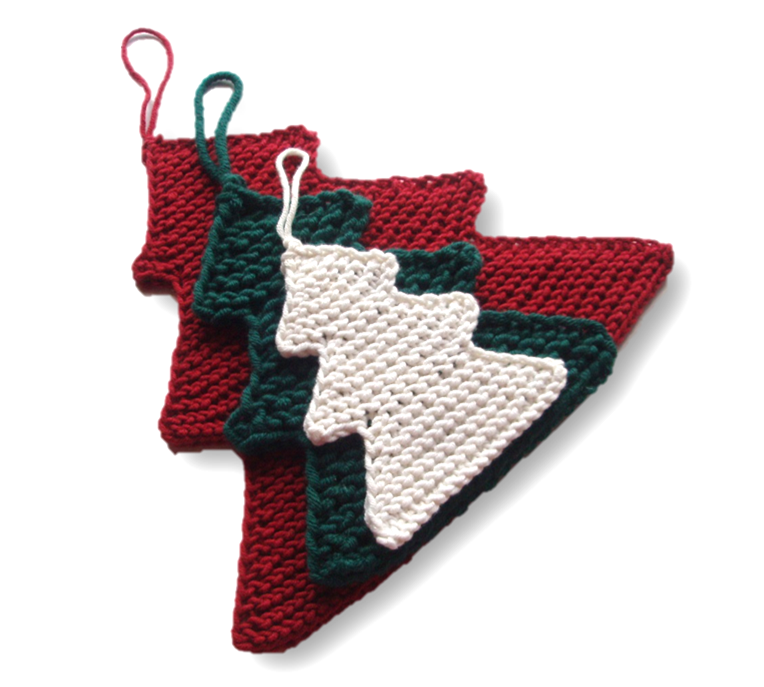 Real life has been so demanding and hectic, instead of striving to whip out a few final items, I decided to relax, enjoy knit decorations created for Christmases past, and put a moratorium on stress-inducing deadlines. Don't get me wrong. There are plenty of projects in progress and more in the planning pipeline, but choosing to not go nuts trying to finish them in time for Christmas has been freeing. Today, I have to visit the grocery store one last time, and finish decorating the house and tree. Once these tasks are completed, I plan to spend some time with a few of my favorite things: a relaxing knit worked in soft, luscious yarn, a glass of wine, and a full-blown marathon of Christmas films old and new. Doesn't that sound indulgent!? To those of you who celebrate, Merry Christmas! And happy holidays to all!